In the last RCA survey we asked you to send some of your chess games in order to include them on our new course. Unfortunately, we didn’t manage to include them on the practical part because they did not relate directly to the topic of the course. Nevertheless, today the RCA Academy Manager, Aggelos Kesaris has annotated 3 of the games that were submitted. You can find them below. RCA Student, Mohan, played 2 internet games in a 10-minute time control, but unfortunately he lost his games on time. Here I’d like to give you some tips. A) You may increase the time control of the game you play, if you tend to think for a longer time. B) Play Fischer’s style – by this, I mean to play games with an increment, for example 10 minutes plus 2 seconds per move. Yes, it’s important to play good quality games instead of worrying about the results. If you play well, the results will come automatically. You can see the games below with Mohan’s comments. And I will highlight some strengths, weaknesses, and tips on how to improve, from this game. White played solidly, obviously because he didn’t how to play the Sicilian Defense. White, sooner or later, should play d4 move. Black played very well, took space on the center and equalized the game easily. In general, you should organize your pieces and only after that push your pawns. I’m referring to the …g3 break. 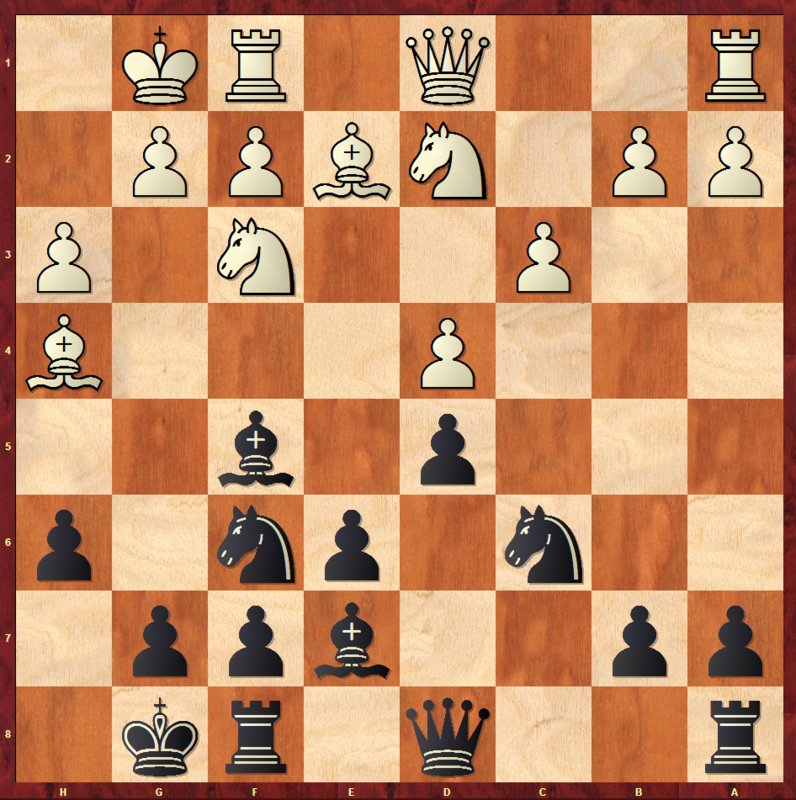 You have a lot of useful moves like Rg8, Nh5 etc. 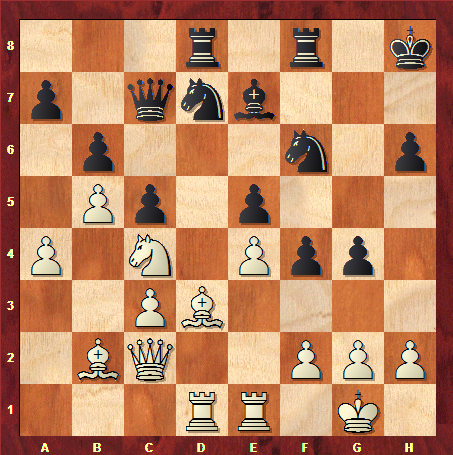 Please note that the pawns cannot go back and in this particular position, White doesn’t have anything active to do. Thus, it was better to prepare the final break. Based on game one, I recommend that you study the RCA chess course called “Master Sicilian Pawn Structures”. You’ll learn a lot of interesting stuff and you’ll understand better all of the systems. In the second game you didn’t played active moves, for example Rc1, Be2 etc… These are not good moves because the pieces are not active and they are not doing many things. I suggest you to study very carefully the RCA chess course “The Grandmaster’s Secrets”. In this course GM Igor Smirnov explained in detail how to think during a chess game. It’s okay to play solid systems like London, with d4 and Bf4. However in these systems you should remember that you can play the c4 move in order to attack the center and in the future to open the c-line in order to attack the c7 pawn. When you pin a knight, sometimes you should be prepared to capture this Knight; it’s not good to go back with your pieces because you are losing time. 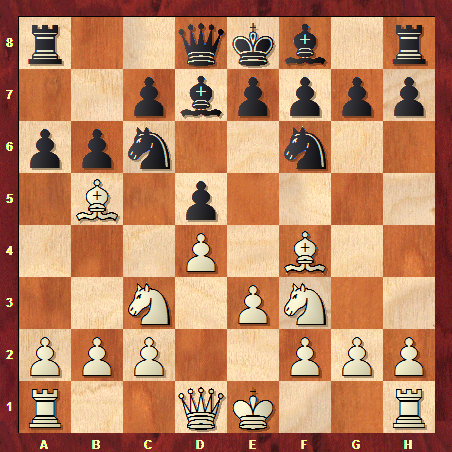 In the second game and in the seventh move you may capture the Knight on c6. After this exchange you can play your Knight on e5 with tempo, in a center square. Black has the bishop pair, but he cannot use it because the center is closed. Arcand sent us a game by two Canadians “Charbonneau – Day”. He followed the first opening moves on his own game. You can see both games below. I’d like to provide some general tips for you. As you already mentioned, on the 12th move there were better ways to keep up the pressure like Re1. In the opening you should develop your pieces, am I right? Please try to remember this rule and of course follow it in your games! When you have less material you should not exchange pieces; instead exchange pawns. Pawns are potential new queens and by exchanging them you deprive this plan; your opponent cannot promote a pawn to a new queen. In the game you exchanged all of your pieces; Black had a pawn majority in the queenside, so the position was statically lost. Thus, in your future games, please be very careful when and how when you exchange your pieces. First of all, thanks for sent us your game. Here I have some tip for you. Please remember that “To take is a Mistake!” This is an extremely important chess rule. I strongly recommend that you study the FREE mini-course “Secrets of Strong Chess Players”. If you capture something you help your opponent to develop his pieces. 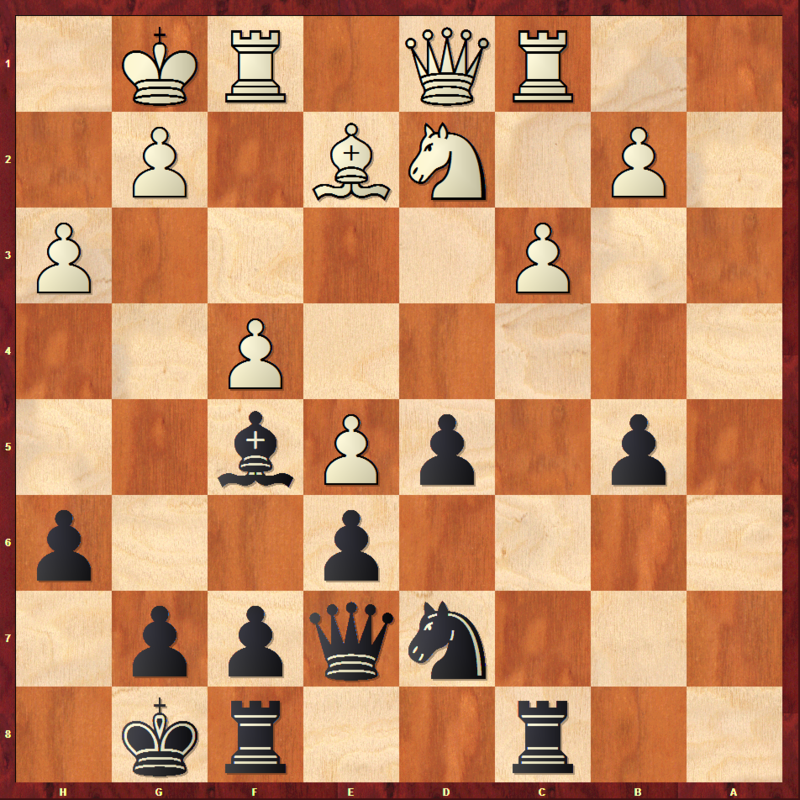 For example in the above position, Black captured the d4 pawn and helped White to open again the c1-Bishop. A better move was Nc6 in order to develop your pieces. If you are afraid of your c5 pawn then you may play e6. Usually you would like to develop your bishop on c8 in order to exchange it with White’s light-square Bishop. It was more dangerous for Black if White played Bd3, because you can understand that this light-square Bishop is aiming to your kingside. 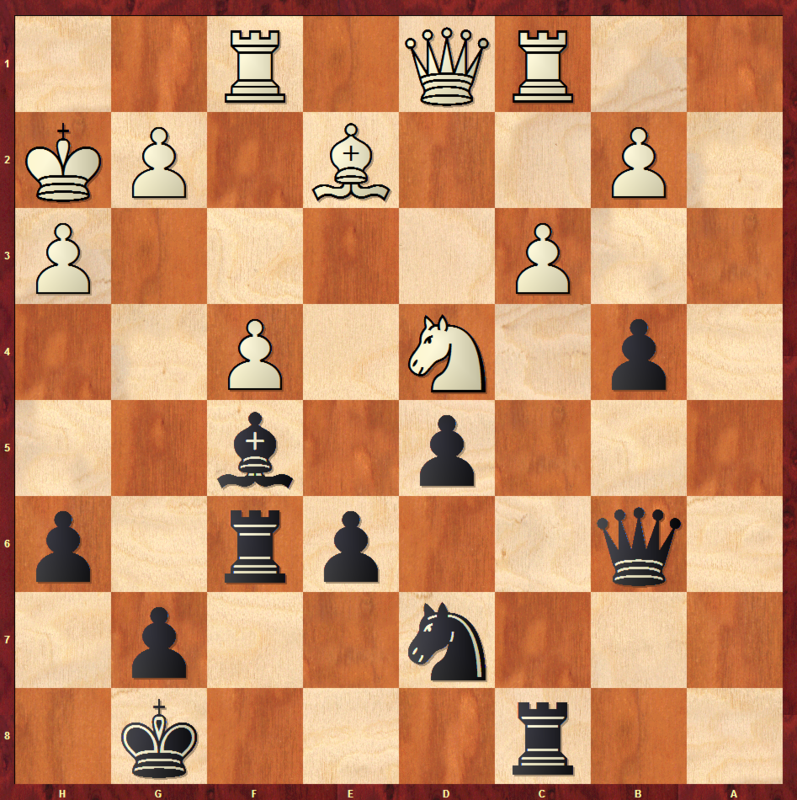 In any case, this Bishop is a key attacking piece for White and for that reason you need to exchange it. 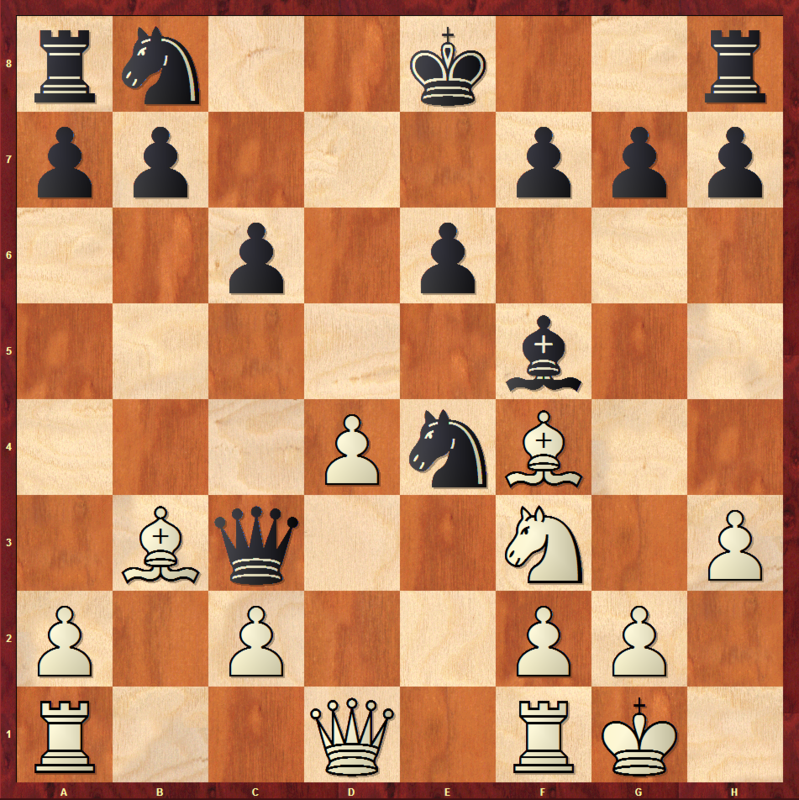 In the 11th move it was better to start your plan by activating your pieces, for example Rc8 etc. In any case this position is better for you because you managed to play actively your Bishop outside of your pawn chain and all of your pieces are actively placed and are good coordinated. In the game you pushed too early your pawns and your opponent took advantage of it; he starts attacking them with a4 move. In the diagram position White has problems to find a good strategically plan. He should organize his pieces first, like Re1. If you don’t have good coordination of your pieces then it’s difficult, or almost impossible, to find good plans. Your strategy was to attack on the queenside. And on the 18th move you lost course. 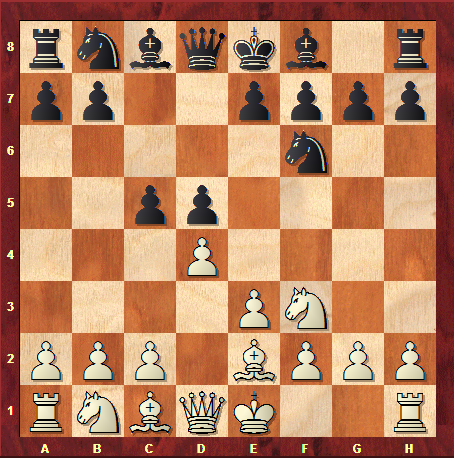 In the minority attack, when you attack with less pawns (3 against 4), you need to create a weakness. You may be thinking that the b5 pawn is being attacked by the e2 Bishop, but in reality this is not true because at the end of the variation you have a check on c5 with Qc5+ (a double attack) winning the b5-Bishop. Thus, White cannot capture the pawn on b5. In light of that, you need to open the position with b4, to create a weakness, or to play Rc7 and Rb8 in order to prepare the pawn advancement. So in this point of the game you didn’t understand the position. Instead of that you played f6 which is a strategic error and you create a permanent weakness on your e6 pawn. In the diagram position White lost due to a very simple tactical move, a double attack. Both you and your opponent are missing simple tactics. The solution is to play slower games and solve simple tactics. There is no need to solve puzzles that require 3 or 4 moves, but simpler ones of 1 or 2 moves. Going back to the game, after 23.Qa4 White is attacking the b4 pawn and the unprotected Knight on d7, so White has a clear advantage on this variation. After some moves, and huge complications you ended up with a blockaded passed pawn on f4 and your opponent had another passed pawn on d5. Black is a little better, thanks to his active pieces, but White has sufficient compensation thanks to his passed pawn and pressure on f4.. However I didn’t understand what happened at the end of the game, probably you lost on time. If this happened I suggest that you play longer games and improve your thinking process. In order to improve your planning skills, I suggest that you study again, and again, the course “Your Winning Plan”. I’d like to thank everyone who sent their games to RCA. I hope that the analysis of the games were helpful. Good luck on your games!